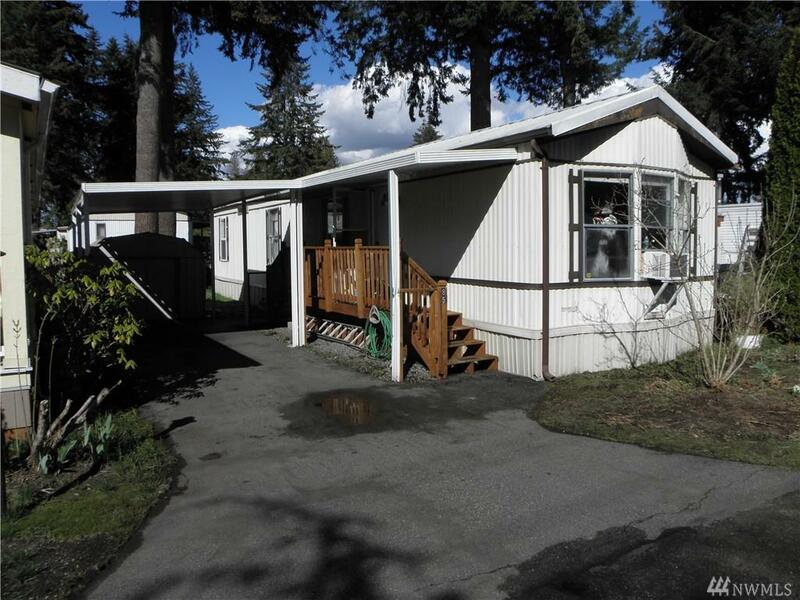 Affordable 2 bdrm 1 bath single wide, approx 800 sf in small quiet established 55+ park in Marysville near Winco Lifetime roof, vaulted ceilings, full size walk in shower. 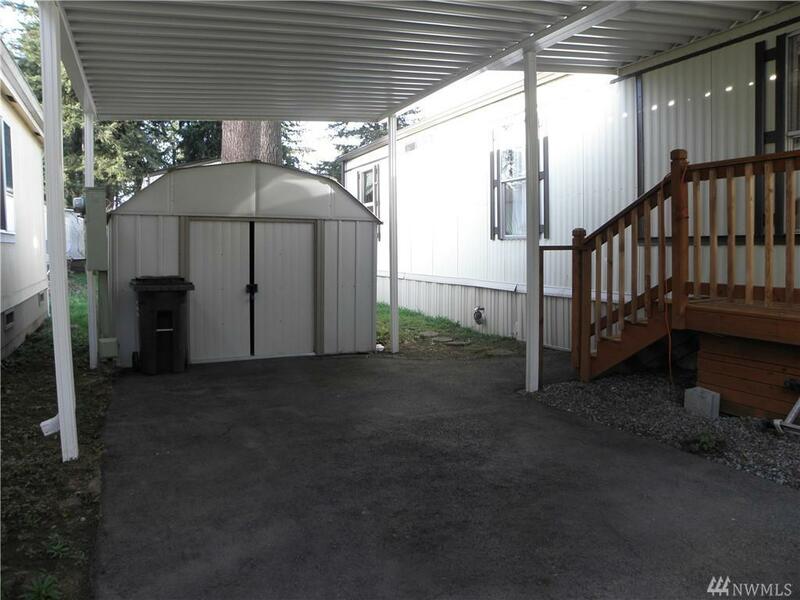 Storage shed, Park has sidewalks, RV storage, and friendly neighbors. 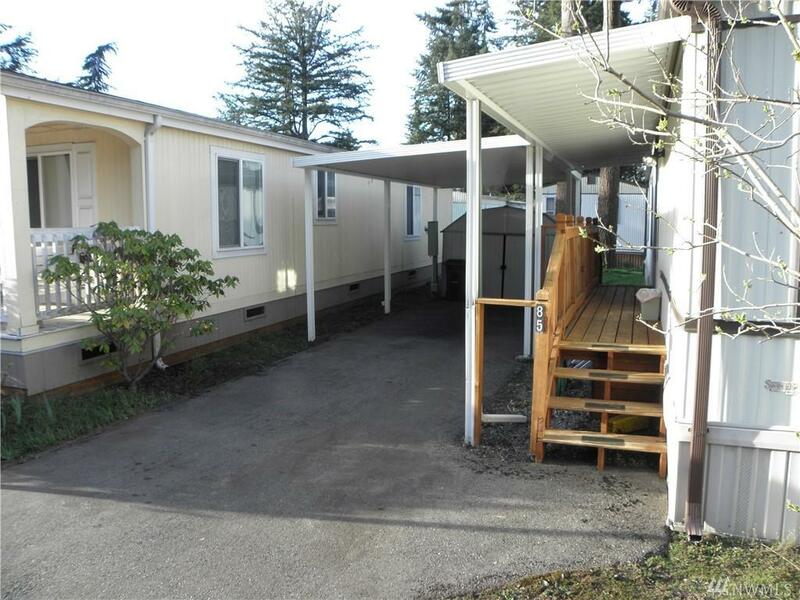 Close to shopping, medical, dining, etc. Easy on freeway. 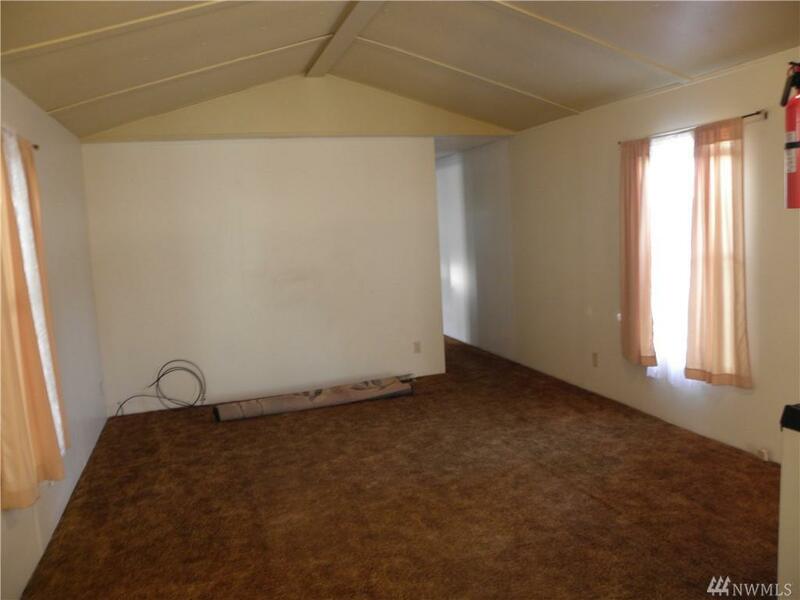 Vacant, clean and ready to move into.